And because there is little, if any, empty space on Alberta’s pipelines, not only will the WCS discount linger, but the benchmark could suffer from higher volatility. 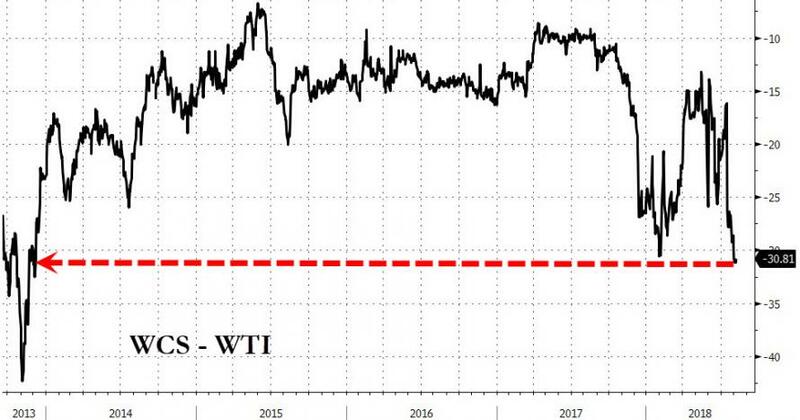 “The Western Canadian oil patch is operating on the edge of available takeaway capacity, which makes discounts especially sensitive to shifts in supply (e.g. Syncrude ramping up from its outage), demand (e.g. higher-than-anticipated Midwest refinery maintenance) or marginal transport capacity (e.g. rail capacity spread too thin),” Rory Johnston, a commodity economist at Scotiabank, told Oilprice.com. 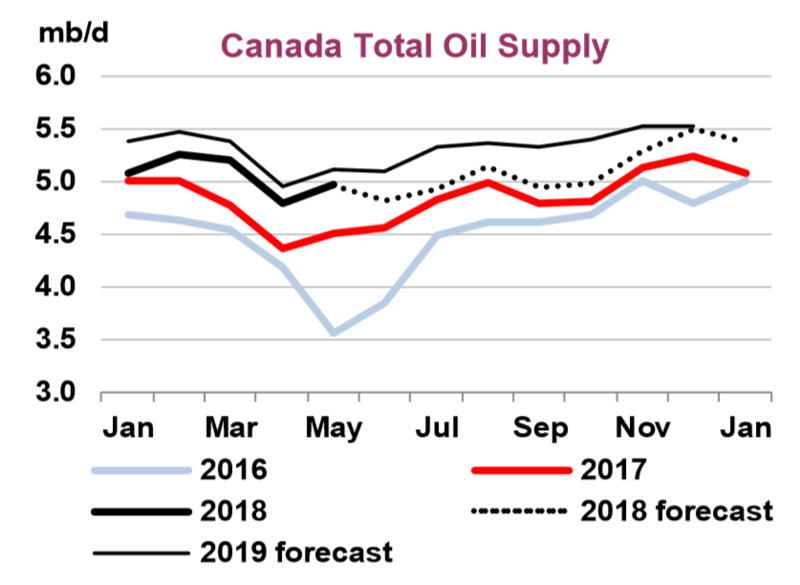 In theory, Alberta could build more refining capacity to process Canadian oil rather than scrambling to find pipeline space or selling at a steep discount, but refineries are expensive, and they would not resolve the problem of takeaway capacity.